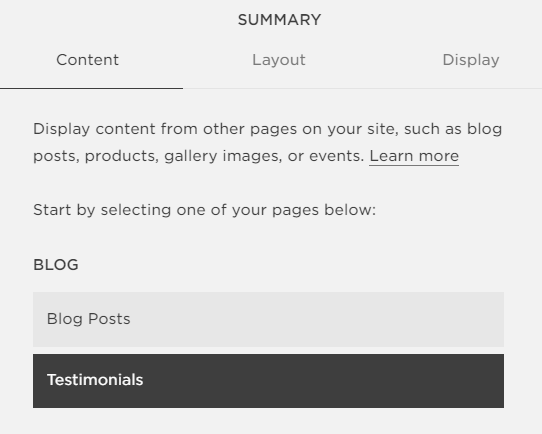 A big part of every business is gaining reviews and testimonials to showcase on your website but how do you go about displaying this on your Squarespace site? 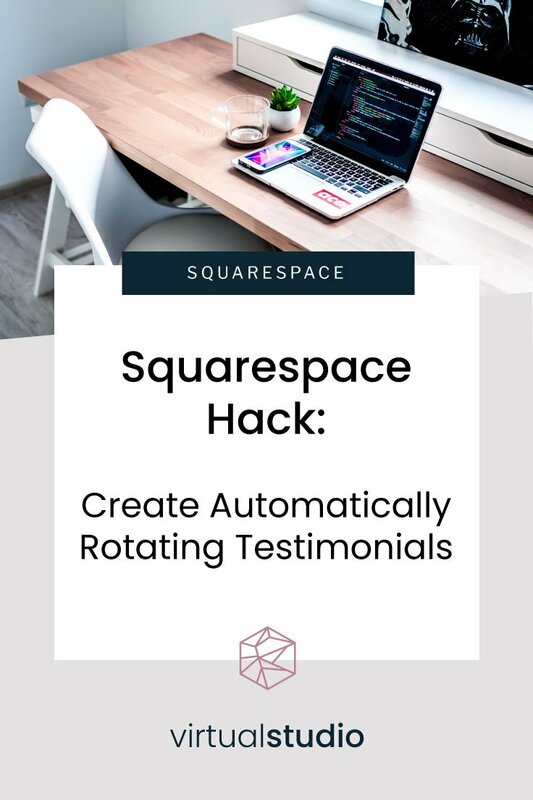 One of the biggest requests I have on Squarespace is creating both a) a testimonial block without a ton of coding and b) making it automatically rotate. Step 4. 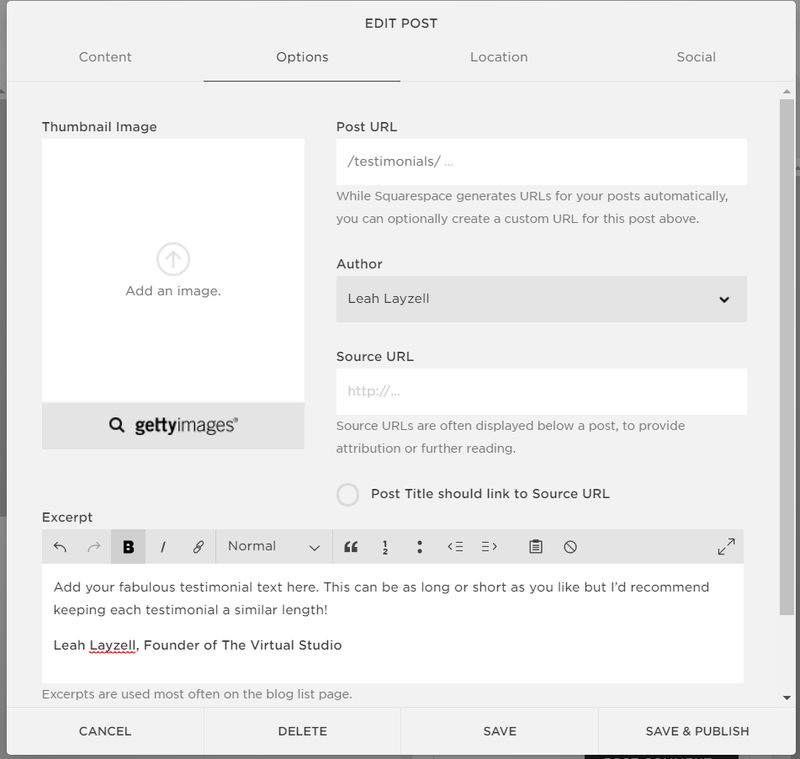 Paste your testimonial in the EXCERPT section. If you want to add a credit, I suggest making that part bold or giving it a h3 style and even link it back to their site. Step 5 (optional). Add a logo or image to the ‘Thumbnail Image’ section if you wish to show this. Step 6. 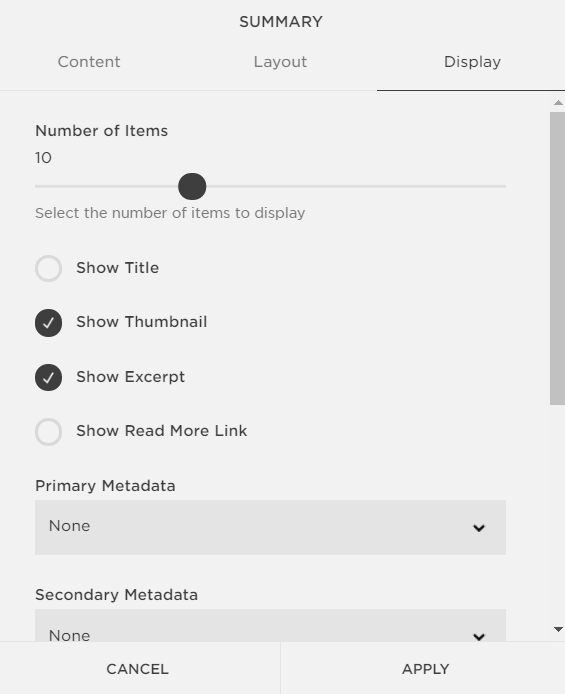 Rinse and repeat step 2-5 until you’ve completed all of the testimonials you want to display within the rotating block. Step 7. Leave this section and go back to the page/section you wish to showcase these testimonials. 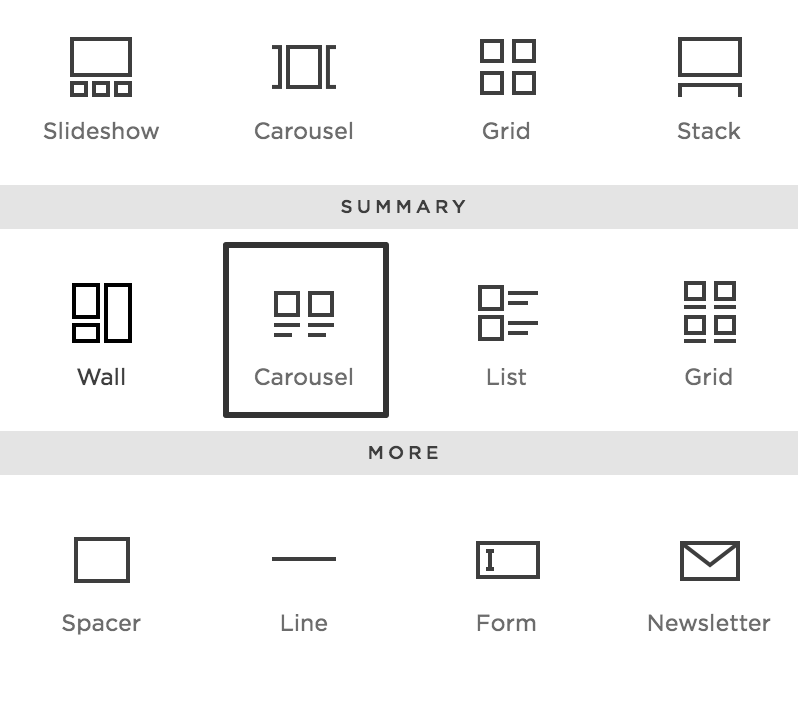 Select a Summary Carousel block to add to the page. Step 9. 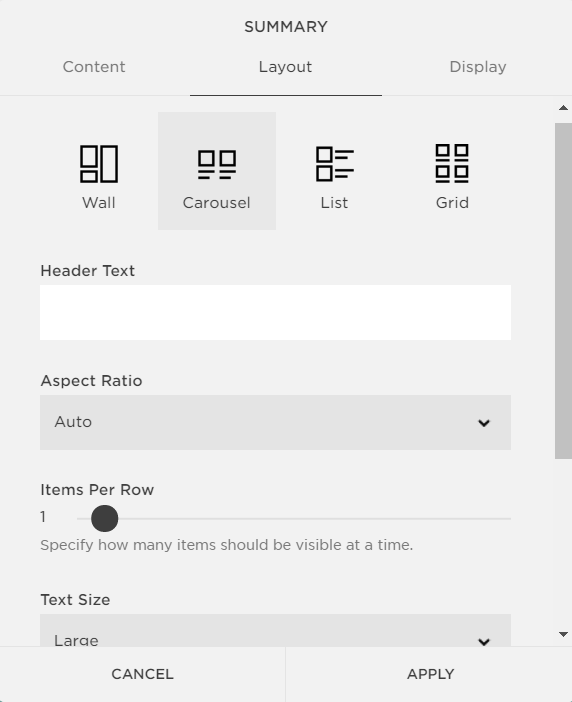 Adjust the settings on both the ‘Layout’ and ‘Display’ tabs to suit your needs. My recommendations can be seen below. Step 10. Once you’re happy, click save! Want to make this automatically rotate?